James Knight is a motion capture guru, who has worked on such films as The Amazing Spiderman, Avatar, The Incredible Hulk, Prince Caspian, and I Am Legend. 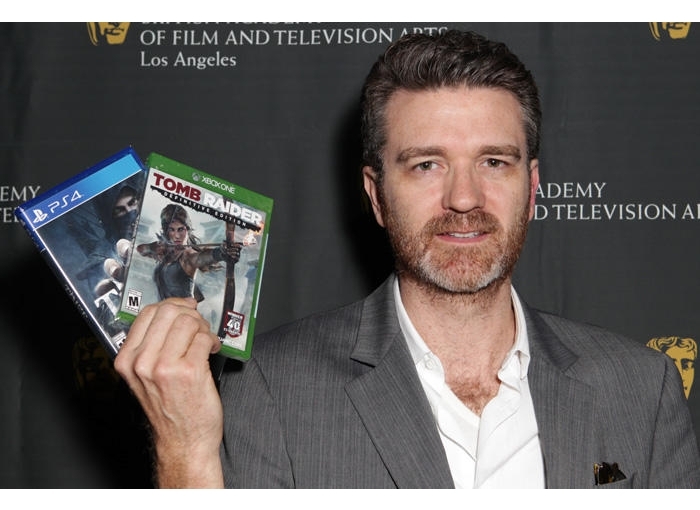 He has also worked in the video game field on Star Wars: The Old Republic, Tomb Raider 8. He was kind enough to take some time out of his busy schedule to talk to us about motion capture and James Knight’s work with BAFTA. How long have you been doing movies and motion capture? I’ve been working in film since 2004 I think but before that I was in music videos. I was experimenting with motion capture around that time. Do you work from pre-production all the way through to the end of post-production? Sometimes. It really depends. Sometimes people will bring you in at the end of production, or once it’s already wrapped, they’ll say we need you to help us with pickups. But on larger films we have been brought in at the very beginning, and we stay on till a couple weeks before release a lot of times. On Avatar, a group of us were on from 2006 till about Thanksgiving 2009 which was 3 1/2 years and I think it was about a week before Thanksgiving was the last day we handed over a shot so you figure they rendered that in about 3 weeks because the movie came out Christmas. What’s your favorite thing about the whole motion capture process? I suppose it would be, when you animate something you’re creating it for somebody to watch. You want to suspend the disbelief of the audience. So even though your brain knows it’s animated, you want it to appear as real as possible, or the motion to be as believable as possible. So motion capture is animation but performed by a real person, not some person sitting at a computer screen doing it by hand, so I like that about the process. They always say “You shouldn’t say faster, better, cheaper.” but I really think it’s faster, better, cheaper. It’s getting the weight right. Walt Disney did it for Snow White when they filmed an actress walking and then they rotoscoped her, and that’s the beginning of how and why their animation was really great, because they used an early form of motion capture. One of the biggest obstacles when you animate something is making sure it has the right weight, otherwise everything looks very floaty. How do you adapt to the speed at which the technology changes from movie to movie? We’re technologists, I’m moving more out of just doing mocap and more doing virtual production, consulting and currently working on an unannounced project with…I cant really say a whole lot about it. I think there’s so much out there, that the tech evolves mainly in the software so it’s less of a hardware evolution and more of a software. Motion Builder which is an Autodesk software that pretty much everybody uses is getting really good with the real time visualization, meaning the resolution of what you see and how. Back when we were working on Avatar in real time it kind of looked like a PlayStation 2 video game. Now it looks…some would argue it could be almost photo real. It looks as good as, say, Toy Story or something like that. It’s pretty remarkable what you can see in real time now. So it’s more the software. I understand you’re a member of BAFTA-LA. What exactly do you do for them? I’ve been on the board for 4 years. As a director, we have to be chairs or co-chairs of 2 committees so myself and another gentlemen, Phil Ashcroft, we started the video games committee so we run that and that’s actually going really well. We’re making that one of the largest committees at BAFTA-LA. We want to emulate what they’ve done at BAFTA-UK with the game space because nobody on the west coast is really the game space certainly not anybody from any institutions with the reputation that BAFTA or the Oscars have so were grabbing that with both hands. The other thing we do as board members because BAFTA la is a non-profit, we are tasked with bringing in sponsors, so we can fund the education and outreach things that we do and the events that BAFTA has. How has BAFTA helped you in your career? Through BAFTA I’ve made some amazing friends so first and foremost, it’s a great way to socialize and meet likeminded people. Professionally its a great place to network and share war stories and also create some business ideas. If you think about, the industrial revolution was started in England because of pubs because you had day laborers sharing ideas of how things could get better, and so I think via going to screenings and mixers and BAFTA garden parties, you meet people, you share war stories, you tell them what you’ve been up to and they tell you about a project they’re up to, and next thing you know you’re on the phone and they’re wondering how you can help them and they can help you. I think it’s what you make of it and I’ve certainly given a lot to BAFTA-LA and it’s given a lot back to me. It has genuinely helped me. Do you have any advice for aspiring moviemakers, people trying to get into the business? I think getting into the games creation like working for a games company like EA, Activision, Square Enix, companies like that. It’s a great way to cut your teeth and to kind of get into the business a clever way because the barrier to entering and working into feature films is pretty high but if you start in games, you can cut your teeth and really get a good idea of how things function, because they’re not too dissimilar in the animation world when it comes to movies, and that would be a pretty attractive thing to have on your resume if you’re applying to, say DreamWorks or Digital Domain, or something like that.